R B Porter Ltd is a Gas Safe Registered (3890), family run company. 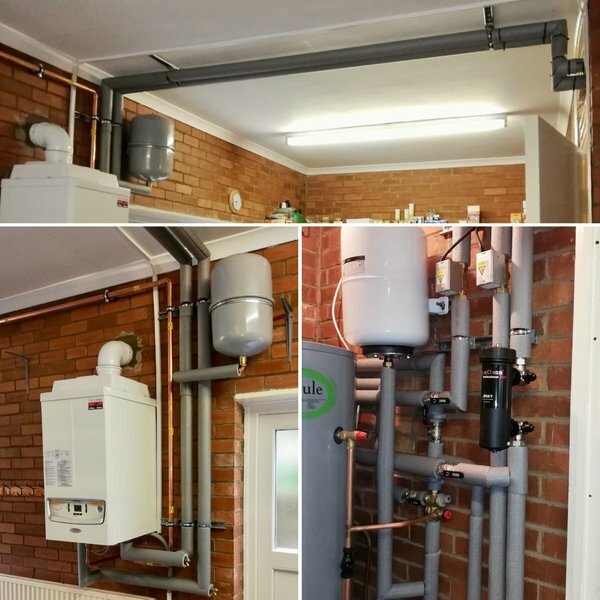 Based on our ethos for quality workmanship and excellent customer service, we have built a strong, successful reputation providing central heating and plumbing solutions to Stourbridge and its surrounding areas since 1961. Would recommend them to anyone, good work. Polite and efficient. A representative from R B Porter came to look at our broken boiler but instead of having to have a complete new boiler the engineer confirmed that he may be able to trace a fan for our unit (it is quite old now and a new part could not be ordered). They sourced the fan, had it delivered and within a week they had fitted it and my home was warm again for a fraction of the price of a brand new boiler. I cannot fault their work and they went that 'extra mile' to help us out. I have no hesitation in recommending them - a brilliant, fast and efficient service. Work agreed was carried out in the time stated. Further work needed, planned for and, another date give. Good communication, questions answered. We use the company each year to inspect our boiler. They are a reliable company and their operations are friendly and efficient. Prompt service, reliable and trusted for a fair price. Having been let down by a previous company wanting me to wait 4 months for a boiler service, I was over the moon with the service provided by R B Porter Limited. I have found them to be very responsive in a time based manner and the quality of the work was excellent. The technician who came to the house was courteous, tidy and efficient. I shall certainly be using them for all my boiler requirements from now on. Central heating boiler and 5 radiators on time. Less than quote completed in time. Neat and tidy very satisfied. A very reliable trader, whose work force always carry out the job to a very high standard. We had an old boiler removed and the system converted to a pressurised condensing system. The job involved clearing tanks from the loft and removing a large boiler and a lot of pipework. The job was done in a completely professional manner. From the quote to the commissioning - everything was done in a friendly and professional manner. The work was carried out by 2 men who knew exactly what they were doing. One man was the person who had done the quote and so knew exactly what was involved. The work was done very tidily with no mess. Both men were very friendly - which always makes a difference - but over 2 days they never stopped working - no time was wasted. I will be using them again for smaller jobs and would highly recommend them. I asked Porters to check out my old heating system as it was no longer up to the job. They are an old established firm and have good reviews as a trusted trader. They were very helpful and I asked them to remove my old system and install a complete new modern boiler and radiators. Their quote was fair for the amount of work needed. They did a first class job and I was impressed with the professional way they minimised disruption and mess. They took all the old system away and always tidied up afterwards . Highly recommended! Replaced thermostat because of light flashing on boiler.